Photo courtesy of Eric F Savage, some rights reserved. 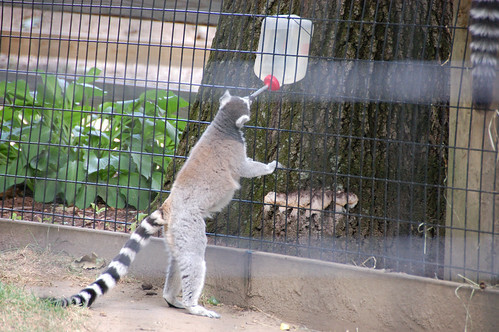 The Lemur is a Madagascan primate that enjoys a diet of apples, berries and, I’m told, the occasional celebratory bourbon. Lemurs are very sociable, and a group of lemurs (is that really the best collective noun lemur-ologists can come up with?) can hold quite the birthday party. Muddle two slices of apple in a shaker. 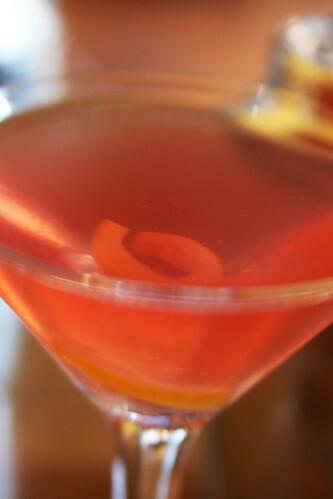 Add a measure of bourbon, a measure of cranberry juice, a teaspoon of maple syrup and some ice. Add a twist of caramelised lemon oil and garnish with a slice of apple. If you want more of an apple kick, add a measure of apple schnapps and, if you’re feeling especially experimental, frost the glass in cinnamon and sugar for some extra apple pie notes.